If you’d told us that Friday afternoon, the Friday leading into Labor Day Weekend, that five years later we’d be trekking, camping and sharing a tent in southern Chile together, I think you would’ve gotten some funny looks from us. But I also think we would’ve believed you, mostly because we’re two women who set big, lofty dreams, goals, plans and adventures — and then see them through. Looking back, I love that our trails intentionally crossed. I love that, throughout the last five years, they’ve continued to cross and that our friendship continues to blossom through soulful, nourishing and adventurous conversations and moments. Generally speaking — not just with me and Lindsay — I think it’s incredible to stop and consider where our trails do, and don’t, cross. Life is funny in that it’s interesting which connections take root and grow over time — and, on the converse, which don’t. When you stop and really think about your trails with another person, you appreciate the details of life and the role that each character plays in your story. While our connections can seem random, I believe they are 100% intentional. How could they not be? There are no coincidences in life. I believe there is a greater force at play. For me, that force is God. For others, it may be someone or something else. 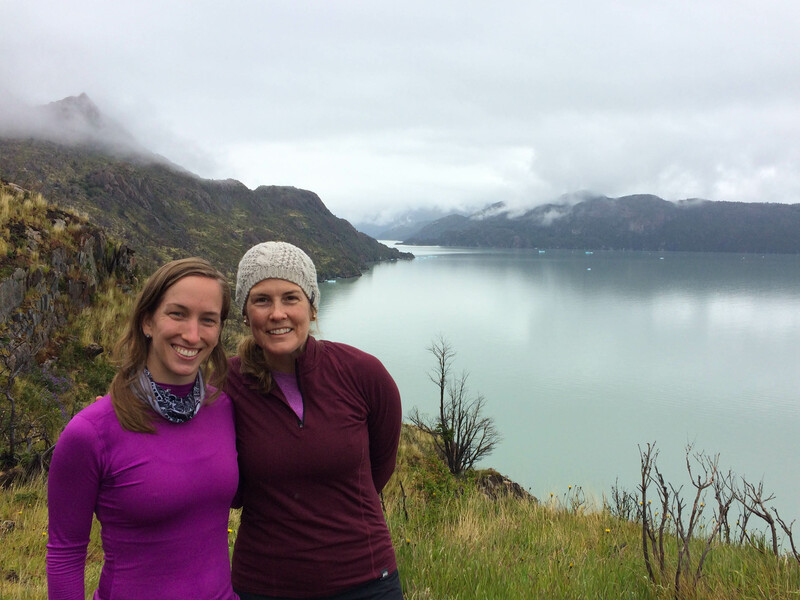 On a drizzly, overcast Friday in Torres del Paine, as we trek from one campground to the next, I chuckle at the absurdity of this moment — of a business connection that morphed into a mentorship and friendship and ultimately a Patagonian adventure together. The people we meet, places we go, experiences we have and decisions we make certainly influence where we go in life, and they are all connected in the most delicate, intricate and beautiful ways. The trails we traverse and the trails that weave in and out of ours are magical, aren’t they? I am glad that I am on that trail with you Emily.